Why can’t we settle and make our D&O insurer reimburse us later? The issue: What if your board is sued for many millions in alleged damages well over your company’s D&O insurance limits? What if the insurer is paying for defense and doesn’t want to settle, but your company and board want to settle? What if, like many D&O policies, this policy says insureds may not settle without insurer consent, but also says consent may not be unreasonably withheld? What if the policy, like many D&O policies, also includes a “no action” clause saying you can’t sue the insurer for a settlement unless the insurer agrees to settle? What if there was a probability or possibility of damages well over limits? You may cajole your insurer into settling by raising its duty to settle, where there’s risk of liability excess of limits. But if you fail, can you settle without consent and successfully sue to make the insurer pay? Part 1 of the story: the registration statement, tender offers, and board responses: Freddie Financier is board chairman of Bricks and Mortar REIT, a real estate investment trust. Bricks wants to list its shares on the New York Stock Exchange and sell up to $345 million of its stock in an initial public offering. Going public. Very big deal. It files a registration statement with the securities gods aka the Securities Exchange Commission. Fiona Financier wants a piece of Bricks. Just after Bricks files its registration statement, Fiona’s company, Tender Offeror Inc., makes a tender offer to acquire just over 5% of Bricks’ shares and files related paperwork with securities gods. But Bricks’ directors recommend against the offer. In their filings, they explain that their recommendation is based largely on Bricks’ business plan as disclosed in the registration statement, including the potential national exchange listing, and their belief that the offer was timed to take advantage of a share price increase due to the listing. 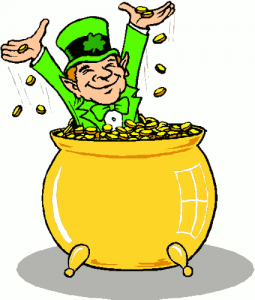 Fiona’s Tender Offeror then offers to buy more shares, over 9%, at a higher price! But Bricks’ directors, including Freddie, still recommend against the offer. Bricks’ filings don’t reference the registration statement or potential listing. The original and revised tender offers expire. The IPO doesn’t happen. And the bricks hit the fan. Part 2 of the story, the securities class action: Bricks’ shareholder, County Pension, sues Bricks and its directors and officers for securities fraud. County sues for a class of similarly situated investors; over $150 million in alleged damages. And Bricks has only $20 million in D&O insurance limits, split between $10 million primary and $10 million excess policies. And before you know it, the $10 million primary policy is devoured by the lawyers. But then good news: district judge says Bricks and its board and management win based on the law. Summary judgment! But then bad news: County Pension appeals. Part 3 of the story: the mediation and settlement: “Let’s mediate,” Freddie and Bricks decide. County agrees. Excess D&O insurer sends Connie Claims, an experienced D&O claims lawyer. Everyone agrees to use Malcolm Mediator, skilled in D&O litigation and insurance. After starting out the usual way–County demands $158 million and Connie Claims offers $50,000–Malcolm works his magic, justifying his $1000 per hour mediator’s fee: County eventually demands the remaining $6 million D&O insurance limit from Connie’s company. Bricks, including Freddie, then ask Connie to pay the limits to settle. Bricks by letter to Connie demands that her company pay the $4.9 million Bricks agreed to pay to settle County’s securities suit and threatens statutory bad faith claims. Connie responds that her company doesn’t have to pay anything because Bricks settled without seeking her company’s consent. Consent wasn’t unreasonably withheld because it wasn’t sought. Bricks claims it was sought, including immediately before mediation when Bricks asked for authority to settle for up to the remaining limit of Connie’s company’s excess policy. The district court approves Bricks’ settlement of County’s securities class action. And Bricks again demands that Connie’s company pay the $4.9 million and again threatens statutory bad faith claims. Connie’s company contributes $1 million towards settlement as promised during mediation, but not the additional $3.9 million Bricks agreed to pay without her consent. Part 4 of the story: the coverage litigation: Bricks sues Connie’s company for breach of contract and bad faith. How will the court resolve the case? Does it matter that the policy required Connie’s company’s consent to settle? Or that the policy has a no action clause? Or that while consent is required, Connie’s company may not withhold consent unreasonably? Or that the insuring agreement provides for coverage only of amounts that the Bricks’ “is legally obligated to pay”? Part 5 of the story: the decision: In Piedmont Office Realty Trust, Inc. v. XL Specialty Insurance Co.*, Case No. 1:13-cv-02128-WSD (N.D. Ga. Mar. 28, 2014), involving a fact pattern somewhat like our story, a Georgia federal judge held that the REIT in Bricks’ shoes had no right to recoup the $3.9 million settlement from the excess D&O insurer. A plain reading of the consent-to-settle language in the contract is that a settlement may not be made without the insurer’s consent to the settlement. The unambiguous language of the provision also is that if the [insurer] unreasonably withholds consent to a settlement agreement reached by the [company], the [company] can assert a claim for breach of the insurance agreement assuming that a judgment after an actual trial is entered against the [company], which exceeds the agreed amount of the potential settlement that [company] had proposed to agree to with a third party. This interpretation is consistent with an insurer’s implied duty—regardless of whether that duty is expressed in a written agreement—to “give equal consideration to the interests of the insured” in deciding whether to consent to a settlement agreement. [A]n insurance contract is not breached and consent cannot be deemed to have been unreasonably withheld until there is a finding regarding [company’s] liability, not just [company’s] discretion based on its perceived risk of failing to prevail in the case and its business interest to eliminate its exposure by settling the Securities Action. “Liability policies generally include provisions that prohibit an insured from settling claims without the insurer’s approval. These provisions enable insurers to control the course of litigation concerning such claims, and also serve to prevent potential fraud, collusion and bad faith on the part of the insureds.” . . . If an insurer refuses to consent and, as a result, the insured does not settle and thereafter loses on the underlying claim, the insurer may be liable for the amount of the judgment and, if that award is greater than the coverage, for damages that could be well in excess of the insurance policy limits. 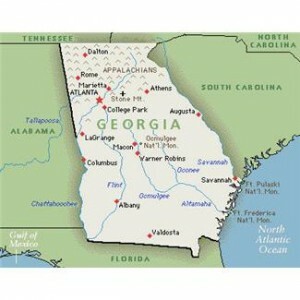 Under Georgia law, an agreement to settle a claim is a “voluntary payment [that] does not constitute a legal obligation.” . . . In the case here, [company’s] insurance contract with [D&O insurer] provides for the payment of claims and defense costs only if the [company] is “legally obligated” to pay a securities claim. The [D&O insurer] is not obligated to pay any claims or costs arising out of a securities claim if the [company] did not have a legal obligation to pay the settlement amount, and the [D&O insurer] did not consent to pay the settlement amount. Comments: According to this Georgia court, an insurer’s consent isn’t “unreasonably withheld” unless there’s a judgment against the company exceeding the policy limits. So as a practical matter, at least when an an insurer hasn’t otherwise breached a duty to the policyholder, a policyholder may never settle and recoup the amount from the insurer, even if it reasonably concludes there’s a probability of a judgment excess of limits. There’s no way to prove an insurer “withheld consent” “unreasonably” other than suffering an adverse judgment and proving breach of the implied covenant of good faith and fair dealing. The court relied on a Georgia Supreme Court decision about a duty-to-defend general liability policy having voluntary payments (consent-to-settle) and no-action clauses. But the consent clause didn’t include wording addressing withholding consent unreasonably. Because of the way the court ruled, it didn’t address whether there was a probability of a judgment against the company and its board and management exceeding limits. It didn’t matter, as far as this court was concerned. Perhaps there wasn’t that sort of risk. After all, there had just been a summary judgment for the policyholders. Although it didn’t say so, the court perhaps didn’t think it was fair for the company, after prevailing on summary judgment, to then settle unilaterally for policy limits and expect the insurer to pay. The court also assumed the company sought consent before settling, though the insurer suggested the company had not done so. The appeals panel in Schwartz v, Liberty Mutual Insurance Company, 539 F.3d 135 (2d Cir. 2008), decided under California law, reached a much different result than this Georgia court. The policyholder in Schwartz settled without primary and excess D&O insurer consent and then recouped the payment from them under a bad-faith failure-to-settle theory. It wasn’t necessary to suffer a judgment exceeding policy limits to prove consent was “unreasonably withheld” or settlement was reasonable. It also didn’t even matter that the insurers had less than 24 hours, near the end of trial to consent to a $20 million settlement. The policyholder had kept the insurer closely advised of case developments, including settlement discussions–so the short fuse on responding to the request for consent wasn’t unreasonable in the circumstances. See also Hilco Capital, LP v. Federal Insurance Co., 978 A.2d 174 (Del. 2009) (applying Missouri law, affirms jury verdict where jury found by answer to special interrogatory that D&O insurer did not unreasonably withhold consent to settlement). When a policyholder fails to seek consent, the result may be much different, unless there are circumstances relieving the policyholder of that obligation, such as a breach of an insurer’s duty to defend or pay or, in some states, a defense from the insurer under a reservation of rights. In Vigilant Insurance Co. v Bear Stearns Companies, 10 N.Y.3d 170 (2008), for example, Bear Stearns, didn’t seek consent from its D&O insurers, before entering into a “consent agreement in which it acceded to the entry of a final judgment” in a case by the SEC. So the court determined Bear Stearns’s settlement wasn’t covered. In Federal Ins. Co. v. Arthur Andersen LLP, 522 F.3d 740 (7th Cir. 2008), Arthur Anderson similarly failed to seek insurer consent to settle and lost a suit for coverage of a multi-million dollar settlement. For policyholders and insurers, the outcome as usual will depend on state law and the unique circumstances of the case including the policy wording. Part 3: So my D&O policy doesn’t include a regulatory exclusion for FDIC suits. Then why isn’t my insurer defending me against the FDIC’s suit? Later, although once unthinkable, your bank does fail. And the FDIC blames you and other directors and officers for losses. Then it sues you and them. Bad news. Groundhog day: Does this sound familiar? If you’re a regular reader, it does. You’ve seen two Groundhog day posts like this recently. Wake up, same post, with twists. Wake up, same post, with twists. As detailed here, letting a D&O insurer avoid coverage for FDIC claims against directors and officers, a Kansas Federal Judge in Bancinsure v. McCaffree, et al, Case No. 12-2110-KHV (D. Kan. Feb. 27, 2014), now on appeal, didn’t care about an endorsement removing a regulatory exclusion. And as detailed here, allowing another D&O insurer to avoid coverage, a California magistrate in Hawker v. Bancinsure, Case No. 1:12-cv-01261 (E.D. Ca. Apr. 7, 2014), didn’t care about a regulatory exclusion dropped from a renewal policy. All that mattered was an IVI exclusion for claims by a “receiver.” So insurer won. Now we have another failed bank. Another D&O policy without a regulatory exclusion. Another D&O policy with an IVI exclusion. Another FDIC suit against directors and officers. And another court decision, W Holding Company, et al v. AIG Insurance Company – Puerto Rico, Case No. 12-2008 (1st Cir. Mar. 31, 2014), applying the exclusion to FDIC claims. 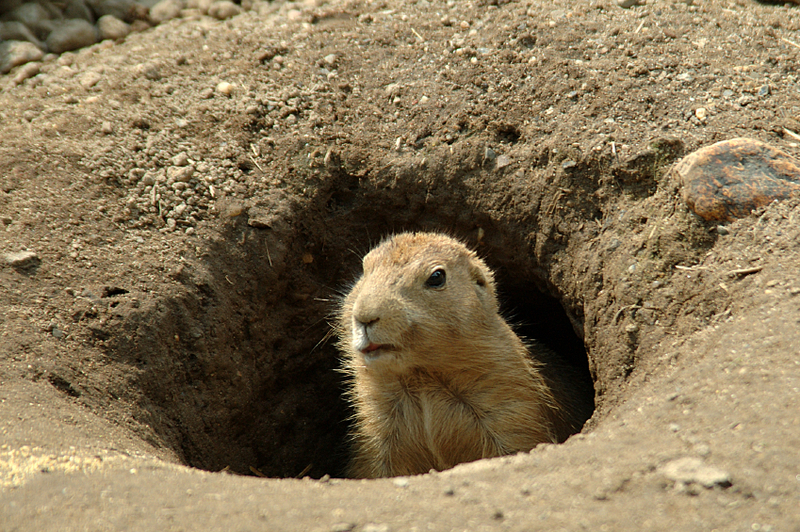 It’s Groundhog day with twists, just like the movie! Twist #1: This time the D&O insurer Chartis lost an initial battle in the Puerto Rico Federal District Court and First Circuit. The insurer must advance fees to defend FDIC claims, albeit without waiving a right to repayment. [The insurer] shall not be liable to make any payment for Loss in connection with any Claim made against an Insured . . . which is brought by, on behalf of or in the right of, an Organization or any Insured Person other than an Employee of an Organization, in any respect and whether or not collusive. “Insured” meant the “Insured Person,” including directors and officers, or “Organization,” including the bank and its holding company. Insurer argued FDIC’s claims were “brought . . . on behalf of or in the right of, an Organization”–namely, the failed bank–and so the exclusion applied. The IVI exclusion said nothing about applying to claims by a “receiver” unlike the exclusions in the Kansas and California cases. Unlike those exclusions, moreover, this exclusion applied to a Claim made against an insured “whether or not collusive.” (Emphasis added). Twist #3: According to the policy, insurer “must advance defense costs, excess of the applicable retention, pursuant to the terms herein prior to the final disposition of a claim.” And in a similar vein, insurer “shall advance, excess of any applicable retention amount, covered Defense Costs,” including “reasonable and necessary fees, costs and expenses consented to by the Insurer.” Loss under the insuring agreement also included Defense Costs. that (a) they would be irreparably harmed if their motion failed, because many of them are “elderly,” “unemployed,” “retired,” and “living on fixed incomes,” and so cannot shoulder the defense costs; that (b) [insurer’s] duty to advance defense costs to them is plain as day; and that (c) the public’s interest in making sure that insurers keep their commitments and that insureds get what they paid for cannot be questioned. typically depends on the exigencies of the situation, taking into account four familiar factors: the moving party’s likelihood of success on the merits, the possibility of irreparable harm absent an injunction, the balance of equities, and the impact (if any) of the injunction on the public interest. In the Kansas case, insurer advanced fees, subject to a reservation of rights. So the directors and officers didn’t need an order compelling advancement. In the California case, FDIC and directors and officers settled, by consent judgment and assignment; so the battle was between FDIC and D&O insurer about coverage for that judgment and advancement wasn’t an issue. [A]n insurance company must advance defense costs if a complaint against an insured alleges claims that create even a “remote possibility” of coverage. . . . Think about that for a second. Not an “actuality” of coverage. Not even a “probability” of coverage. No, a mere “possibility” of coverage will do — regardless of how “remote” it may be. A pretty low standard, indeed. The court’s comments above are similar to what courts in many states say about how to determine whether an insurer has a duty to defend under a policy including that duty. So did the FDIC’s complaint allege claims creating a “remote possibility” of coverage? [T]he FDIC did more than allege that it had succeeded to [bank’s] rights. It also alleged that it had succeeded to the rights of [bank’s] depositors and account holders — rights that included the right to “bring this action.” And it alleged, too, that it was suing to recover money the FDIC-insurance fund had shelled out after the bank had shut down. Eyeing that pleading liberally, . . . while knowing also that pleading perfection is not required, . . . we think that these allegations make it likely possible — even if only remotely so — that the FDIC is suing on these non-insureds’ behalf. [FDIC] shall, as . . . receiver, and by operation of law, succeed to . . . all rights, titles, powers, and privileges of the insured depository institution, and of any stockholder, member, account holder, depositor, officer, or director of such institution with respect to the institution and the assets of the institution. (12 U.S.C. § 1821(d)(2)(A)(i)). The IVI exclusion applied only to claims “brought by, on behalf of or in the right of, an Organization or any Insured Person other than an Employee”–not to claims brought “on behalf of or in the right of” account holders and depositors, or for the FDIC-insurance fund. Although insurer argued otherwise, this court said it was irrelevant that FDIC failed to explicitly identify these various roles in its initial demand letter; there was no law requiring it to do so. FDIC’s multiple capacities under “FIRREA” weren’t addressed in the Kansas and California opinions. Nor was advancement an issue, as explained earlier. Looking at the cost-advancement issue through the prism of preliminary-injunction principles makes an already insured-friendly situation under Puerto Rico law friendlier still. At this stage, you see, the directors and officers need not show a “certainty” of a “remote possibility” of coverage. On the contrary, only a “likelihood” of a “remote possibility” of coverage is required. With no controlling [Puerto Rico] authority on whether an insured-versus-insured exclusion applies to the FDIC in a situation like ours; with non-binding cases pointing in different directions; and with our obligation to resolve any doubts in the insured’s favor, . . . — [insurer’s] suggestion that there is zero likelihood of a remote possibility of coverage falls flat. Keep in mind (and we cannot stress this enough): likelihood — not certainty — is the name of the game, and possibility — not actuality or probability — suffices, no matter how remote that possibility is. And that standard is met here. [T]he [district] judge said that the insured-versus-insured exclusion barred the FDIC from suing on behalf of [bank’s] members, officers, and directors, plus also [bank’s] shareholders (consisting only of W Holding, a party to the case). But because the FDIC also sued on behalf of account holders, depositors, and the drawn-down FDIC-insurance fund, the judge concluded that the FDIC’s claims fell outside the insured-versus-insured exclusion. The order, requiring advancement, deemed a mandatory preliminary injunction, could be appealed immediately; so that was appealed and addressed. The order denying insurers’ motion to dismiss FDIC’s claims couldn’t be appealed immediately as of right; and the appeals court didn’t decide if that order was right or wrong. Preliminary injunction motions for advancement: Where there’s a financial catastrophe such as a bank or business failure, directors and officers may face enormous defense fees exposure. If their insurer doesn’t pay or defend, motions for a mandatory preliminary injunction may force an insurer to pay or defend. As in this case under Federal law, it’s a way to get an immediate order requiring proof of only a “likelihood of success on the merits” and of allegations only potentially within the scope of coverage. But the strategy doesn’t always succeed. Chris, the “old guy” author of this blog, was lead insurer counsel in Anglo-American Insurance Co. v. Molin, 547 Pa. 504 (1997). There, the Pennsylvania Supreme Court reversed a mandatory preliminary injunction requiring Lloyd’s underwriters to advance fees for defending claims by Pennsylvania’s insurance commissioner against a failed life insurance company’s directors and officers. Dropped regulatory exclusions; kept IVI exclusions: Bank D&O insurers, including this one, had a very straight-forward way to exclude FDIC claims against bank directors and officers–namely, regulatory exclusions. But, for whatever reason, some insurers, at least for a time, didn’t include them in their policies. During the financial crises of the 80’s and 90’s, insurers largely won the battle with FDIC about whether regulatory exclusions were against public policy. Many Federal appeals courts said they were not. So we were somewhat surprised, especially the “old guy,” Chris, who worked professionally through those times, that bank D&O insurers dropped regulatory exclusions. They’re ordinarily a very direct way to avoid limits claims from a bank failure. It was especially surprising given the hits the industry experienced from bank and S&L failures back then. Short memories? So why were regulatory exclusions dropped? More players in the market? More competition? More insurers dropping the exclusions? Harder to sell D&O policies with regulatory exclusions? Do what’s necessary to meet the market, sell the policy, and book the premium? And we can exclude catastrophic risk from a bank failure, albeit with less direct wording? Maybe no impact on selling policies? Before the you-know-what-hit-the fan, did it occur to buyers and brokers of bank D&O insurance that having purchased a D&O policy without a regulatory exclusion, their insurers would raise IVI exclusions as grounds for denying coverage for FDIC claims following a bank failure? Or that, as in the California and Kansas cases, IVI exclusions that ordinarily didn’t refer to claims by a receiver, would be modified to do so, so the insurer could argue FDIC claims following a bank failure were excluded? Or, as in this case, that an insurer would argue FDIC’s claims were “brought . . . on behalf of or in the right of” the failed bank and, thus, fall within an IVI exclusion? Or that insurers would argue and, at least some courts would agree, that removal meant only that claims by FDIC in a corporate capacity would be covered? While claims presenting the greatest risk to the personal assets of bank directors and officers, namely, FDIC claims as a failed bank’s receiver, would not? Isn’t that a risk any community banker would have wanted and expected their D&O insurer to cover? How much of a real risk is presented by claims by FDIC in a corporate, rather than receivership capacity? Was anyone thinking that their insurers would argue later that removing a regulatory exclusion, as a practical matter, would result in no material expansion of coverage? Were IVI exclusions referring explicitly to claims by a “receiver” in policies issued to big banks? Or just community banks, such as in the Kansas and California cases? Were the brokers, risk managers, and bank directors and officers paying attention to the wording idiosyncrasies of IVI exclusions? They better be thinking about them now! Overview: We recently covered a case here where a bankruptcy trustee claimed a D&O policy and proceeds belonged to the bankrupt company’s estate and shouldn’t be used to pay director and officer defense fees. Today’s story, also from bankruptcy land, is about another common issue following a major financial disaster. Those who caused the harm are inundated with claims or otherwise have serious financial problems. So they seek a bankruptcy “fresh start” and get a discharge, including an order preventing suit for discharged claims. What then is the injured party’s remedy? What about the liability insurance for the claims against the discharged “wrongdoer”? What if, as here, insurer argues its policy doesn’t cover the claims, because of an insured versus insured exclusion? What if, as here, the insured is a failed bank’s officer and claimant is FDIC as the bank’s receiver? Read on, as the story is about to begin! Investors, creditors, a bankruptcy trustee or receiver, government agencies, and the like target the company’s directors and officers. 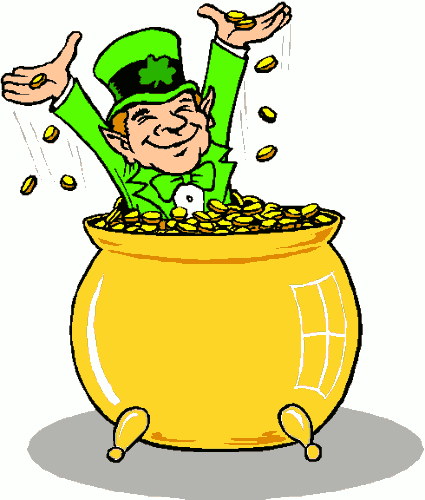 And some of them also target a perceived pot-o-gold: the management liability insurance policy underwritten by you. Yikes! The company’s Big Chief Muckety-muck is wiped out. He was heavily invested in the failed company. That’s all lost. Lost job. Lost salary. Lost benefits. Claims galore. Solution? Bankruptcy! Discharge! No more liability. Silly you. Have you heard of the “empty chair”? That’s what the defense lawyers point to when they say their clients aren’t to blame for an unhappy camper’s financial disaster. They’ll say Mr. Chief is solely responsible. He hasn’t been sued; he’s not in the court room; his chair is the “empty chair”; and the others in the court room chairs aren’t responsible. As a technical matter, camper seeks to (1) reopen, if necessary, Chief’s bankruptcy case under Bankruptcy Code section 350(b) and (2) modify the discharge injunction under Bankruptcy Code section 524(a) to permit camper to proceed against an available limit of liability insurance policy under Bankruptcy Code section 524(e). Specifically, camper asks the court to modify the discharge injunction so camper can name Chief as a nominal defendant in a suit for establishing and seeking payment from the management liability insurer. The policy you underwrote is in the crosshairs! What to do? What to do? Well, your company tries to stop camper. And Mr. Chief does too. Of course, none of what your company argues has anything to do with your company’s additional financial hit if camper gets to sue Chief, right? It’s just about the poor Chief. . . . The decision: So what sayeth the bankruptcy court? Well, in In the Matter of: William H. Gafford, Jr., Case No. 11-13490-WHD (N.D. Ga. Feb. 4, 2014), a case generally along those lines, the winner is “camper” aka the FDIC! The filing of a bankruptcy petition prevents temporarily the litigation of prepetition claims against a debtor [(like camper’s claim)]. . . . The entry of a discharge acts as a permanent injunction against litigation for the purpose of collecting a debt from the debtor [(here. Chief)] or the debtor’s property. Got that: under the Bankruptcy Code, “a creditor may establish the debtor’s nominal liability for a claim solely for the purpose of collecting the debt from a third party, such as an insurer or guarantor.” So camper aka FDIC may establish Mr. Chief’s aka Mr. Gafford’s nominal liability solely for the purpose of collecting the debt from an insurer. Here, that means the management liability insurer. In the context of the Debtor’s being a necessary party, the Court finds In re Grove both factually similar and persuasive. If the FDIC pursues this action without nominally naming Mr. Gafford, who was the Chief Executive Officer of [failed bank], as a defendant, the FDIC would be placed in the same “tactical disadvantage” as in In re Grove. The “empty chair” defense thus was a real concern, said the Gafford court. But if FDIC were allowed to sue Chief now, wouldn’t that jeopardize Chief’s “fresh start” from his bankruptcy discharge, as insurer argued? What about Chief’s obligation to reimburse insurer for defense costs advances under the management liability policy? Chief, would be stuck with that, right? We can’t have that, right? Defeats the purpose of the discharge in bankruptcy. [Chief’s] fresh start will not be adversely affected by allowing the FDIC to pursue an action naming him as a nominal defendant, solely for the purposes of pursuing liability against [management liability insurer] on the Policy, because any claims against [Chief] for defense costs were discharged in bankruptcy pursuant to section 524 of the Bankruptcy Code. The management liability insurer in Gafford argued Jet Florida shouldn’t control because, unlike the policy in Jet Florida, it’s policy required the Chief to defend and included an insured-versus-insured or IVI exclusion supposedly barring coverage. On the IVI, insurer cited FDIC v Miller, No. 2:12-CV-0225-RWS (N.D.Ga. August 19, 2013), applying the exclusion to FDIC claims. But the Gafford court wasn’t buying any of this, explaining that insurer’s “argument relies upon the presumption that any litigation between [insurer] and [Chief] would result in the same outcome as the Miller decision [holding the IVI exclusion applied].” (Emphasis added). [Insurer] fails to distinguish the present case from In re Jet Florida because this Court, just as the In re Jet Florida court, has no “effective means” in determining whether [Chief] or [insurer] will pay the cost of litigation. While the Miller decision [about the IVI] appears to be similar to the issue here, the underlying coverage issue is not before the Court, and the Court cannot “predict” the potential outcome of future litigation. As a matter of fact, the Miller court’s decision applying the insured versus insured exclusion to the FDIC’s claims in that case conflicts with other court decisions about similar wording, such as Progressive Casualty Insurance Company v. FDIC, 1:12-CV-1103-RLV (N.D. Ga. Jan. 4, 2013), and has been criticized in the blogosphere here. [T]his Court agrees with the reasoning in In re Jet Florida, in that the practical and economic realities compel the “insurance company” to defend the underlying action. . . . The Eleventh Circuit further reasoned in In re Jet Florida that “if there is a dispute between the bankrupt and the insurer as to the applicability of coverage, it remains in the interest of the insurer to defend the suit.” (Emphasis added). We’re not sure what the court was suggesting here. That insurer as Chief’s potential creditor, with the right to recoup advanced defense fees, could have prevented Chief from discharging that obligation in bankruptcy? Or that insurer after discharge might reopen Chief’s bankruptcy case to recoup fees advanced for Chief’s defense? Would that relief undermine Chief’s “fresh start”? The opinion doesn’t get into any of these issues or otherwise provide sufficient explanation. But as a practical matter, it doesn’t appear there would be much hope for insurer to recoup any fees. Comments: It’s not unusual for a claimant to seek bankruptcy court permission to sue a party, but only for tapping that party’s insurance. D&O policies often state explicitly that “The bankruptcy or insolvency of an Insured Person shall not relieve the Insurer of its obligations under the Policy.” Sometimes there’s only a single target defendant. So there’s no issue about “empty chair.” Just a need to allow suit so claimant may prove a claim after defendant’s discharge in bankruptcy and potentially satisfy it, but only via insurance. The insurer isn’t off the hook simply because the insured is discharged from personal liability. What was unusual here is a policy placing a defense obligation on Chief and allowing insurer to recoup advanced fees from Chief. That was insurer’s hook for arguing that allowing FDIC’s suit would deprive Chief of the “fresh start” from bankruptcy discharge. But in this court’s view, if FDIC’s suit against Chief were allowed, the real battle would be between FDIC and insurer, with Chief having no material skin in the game. Chief would have no personal liability to FDIC for the claim. Only the D&O insurance was in play. Nor could the D&O insurer recoup fees from Chief, given Chief’s prior discharge. 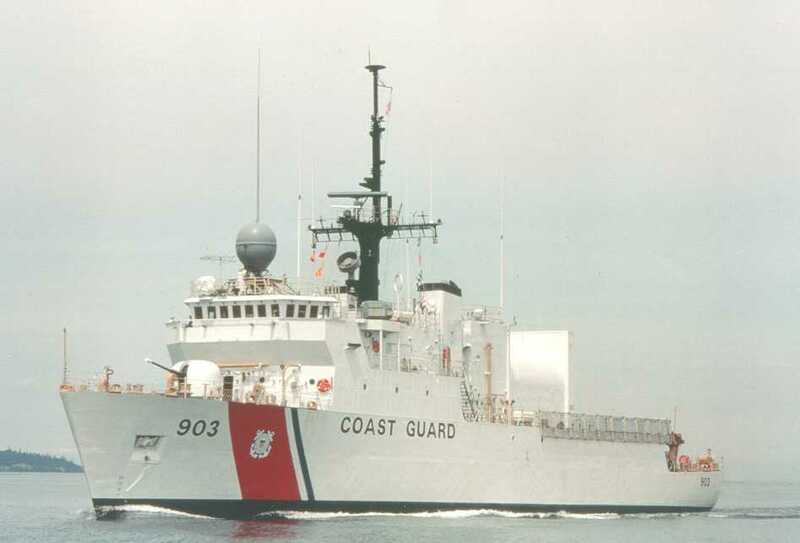 If you’re a regular reader you may recall our March 2014 post here about a shipbuilder the United States Coast Guard sued under the False Claims Act and common law. Builder converted old cutters into new ones, but there supposedly were serious structural defects. Coast Guard was not happy. And it sued. Several years earlier, Coast Guard and builder tolled the statute of limitations for Coast Guard’s claims, Coast Guard wouldn’t have to sue then. When Coast Guard sued, builder sought coverage under the claims-made management liability policy in effect then. But that was long after the tolling agreement and when Coast Guard’s claims were first made. Insurer denied coverage, claiming Coast Guard’s claim was first made before policy inception; and since it was a claims-made policy, there was no coverage. The court in XL Specialty Ins. Co. v. Bollinger Shipyards, et al, Case No. 12-2071, (E.D. La. Jan 3, 2014) granted a summary judgment for insurer as detailed in our March 2014 post. But conspicuously absent from its opinion was any reference to any policy in effect as of the tolling agreement, when claim was first made. Well, the mystery about whether there was a policy then was recently solved. In XL Specialty Ins. Co. v. Bollinger Shipyards, Case No. 12-2071 (E.D. La. Mar. 13, 2014), the court addressed builder’s motion for relief from summary judgment. There was a policy effective when claim was first made, as of the tolling agreement. But builder didn’t sue under that policy until after the court held it couldn’t recover under the policy effective when the Coast Guard sued builder. Having waited until after summary judgment for insurer, it was too late for builder to sue under the policy effective when claim was first made, said the court. Presumably there was a reporting requirement, which may have been an issue even if builder was permitted sue. But the court didn’t have to address that issue. Builder also argued that as a claim made “between the [policy’s] Continuity Date and the end of the D&O Policy,” Coast Guard’s suit was covered. But coverage was conditioned upon a claim first made within the March 1, 2011 to March 1, 2012 policy period, as the court explained. And the claim was first made long before then. The Continuity Date or “pending or prior date” also doesn’t change the claims-made requirement. The Continuity Date instead controls application of an exclusion for Loss in connection with a Claim “alleging, arising out of, based upon or attributable to” litigation or administrative or regulatory proceedings or investigations pending or prior as of the Continuity Date. Builder could have avoided this whole mess by providing notice to the management liability insurer when the tolling agreement was about to be signed and claim was first made. This is a recurring problem as we’ve seen in other posts such as here. Is it that lawyers advising about issues such as tolling or the underling cases don’t think about the insurance or assume someone else has or that the insured has the responsibility and needs no advice? Are the brokers not educating their clients sufficiently about the importance of prompt reporting? Why do insureds miss this requirement so frequently? We don’t have the answers. But it continues to be a problem. Part 2: So my D&O insurer removed the regulatory exclusion for FDIC suits. Then why isn’t it defending me against the FDIC’s suit? Ever see the movie Groundhog Day? Actor Bill Murray relives the same day repeatedly. Wake up. Same day. With twists. Wake up again. Same day. With twists. Strange way to start a blog about insurance? Not if you’re a regular reader. And you’ll soon see why. Today’s story: So in this post we look at the world as if you’re a bank director. You of course have a D&O policy. And it has a so-called regulatory exclusion, for claims by the FDIC against you if the bank fails. The D&O insurer renews the policy. But the renewal policy doesn’t include a regulatory exclusion. “That’s good,” you say. “One less worry. I now have coverage for those claims if the bank were to fail.” But a California Federal magistrate in Hawker v. Bancinsure, Case No. 1:12-cv-01261 (E.D. Ca. Apr. 7, 2014), says you better think twice. Why? Well, yes the insurer removed the regulatory exclusion. But the “insured v. insured” or IVI exclusion was unlike typical IVI exclusions. Like typical IVI exclusions, this exclusion applied to a Claim made by one Insured against another Insured, subject to exceptions. But unlike typical IVI exclusions and critical to this court, this IVI exclusion also explicitly applied to a Claim by a “receiver” against an Insured. Why the groundhog? Recently, we did a post here, starting with two paragraphs nearly the same as the two above, except discussing Bancinsure v. McCaffree, et al, Case No. 12-2110-KHV (D. Kan. Feb. 27, 2014), recently appealed to the Tenth Circuit. Now we have a California decision about the same insurer’s policy with the same result, but like the repeating days in the Groundhog Day movie, with some twists. Twist one: This was a renewal policy without a regulatory exclusion, but with an IVI exclusion for “a claim by, or on behalf of, or at the behest of, any other insured person, the company, or any successor, trustee, assignee or receiver of the company . . . .” The D&O policy in McCaffree had an endorsement deleting a regulatory exclusion, while separately keeping an IVI exclusion excluding loss from claims by a receiver. Twist two: These directors and officers consented to entry of a default judgment against them for over $48.5 million! They also assigned all their claims against the D&O insurer to FDIC. There was no assignment or default judgment in McCaffree. Instead, insurer advanced defense fees for the directors and officers, subject to a reservation of rights. It also sued for a declaration that the policy didn’t apply. Insurer, directors, officers, and FDIC then settled FDIC’s claims against the directors and officers, who confessed judgment for FDIC for the $5 million policy limit. The parties agreed $5 million was reasonable given the likelihood of a jury verdict substantially over policy limits. As of the court decision, $1 million was paid to FDIC on the judgment, $750,000 by the directors and officers and $250,000 by insurer. Twist three: To determine if the IVI is ambiguous, Hawker “provisionally” addresses email communications about the policy, deposition testimony by the insurer’s corporate designee, an initial reinsurance report, and statements from insurer’s employees advertising the policy as having “broader coverage.” No extrinsic evidence was considered in McCaffree in deciding whether the IVI applied. The FDIC does not dispute that the FDIC, in its capacity as receiver for County Bank, performs the characteristic functions of a “receiver” as defined in Black’s Law Dictionary. The FDIC acts to protect or collect the assets of County Bank, which are subject to diverse claims from stockholders, creditors, depositors, etc. While the FDIC attempts to differentiate itself from other types of receivers, it fails to identify any significant distinction that would justify an interpretation of [IVI] Exclusion 21 that would treat the FDIC differently from any other type of receiver. This wasn’t an argument addressed in McCaffree. Argument two, the separate regulatory and IVI exclusions show the former was intended to exclude FDIC claims but the latter wasn’t: The regulatory exclusion would be superfluous if FDIC claims were already barred by the IVI, argued FDIC. [T]he regulatory exclusion would bar suits brought by the FDIC in its capacity as federal insurer, also known as its “corporate capacity,” whereas the insured versus insured exclusion would only bar claims by the FDIC in its capacity as a receiver. But, according to the court, limiting the IVI to claims by one insured against another, would mean the term “receiver” in the IVI would have no meaning; the exclusion would never apply to a claim by any receiver, whether the FDIC or any other receiver; and that would be contrary to a rule for reading contracts, namely, that all contract terms are to be given meaning. Much like a corporation suing its own directors and officers for operational losses caused by improvident actions, the FDIC in its capacity as a receiver steps into the shoes of a failed bank and, in this case, seeks to recoup operational losses caused by improvident actions. While the Court is not accusing the FDIC of collusion in this instance, hypothetically speaking, the interests of the FDIC-as-receiver could be aligned with the interests of the directors and officers of a failed bank when an insurer is involved. Insurance proceeds paid out on a claim brought by the FDIC would be used to pay off the failed bank’s creditors, which may include the same directors and officers that were defending the lawsuit. Accordingly, it is not difficult to imagine a scenario involving collusion between the FDIC and the directors and officers whereby the directors and officers allow judgment to be entered against them so that the insurer is forced to pay the judgment. In such a scenario, the directors and officers benefit by having their uninsured investment and loans paid from the insurance proceeds. The McCaffree court also concluded the IVI wasn’t limited to collusive suits; what mattered, per that court, was that the exclusion expressly applied to a “receiver.” Collusion wasn’t raised as a “reasonable expectations” argument, although “reasonable expectations” applies under Kansas law when there’s ambiguity; instead it was raised as “industry custom and practice,” but the McCaffree court didn’t see any need to consider the evidence as it believed there was no ambiguity about whether the IVI applied to the FDIC claims in that case. Argument four, prior cases holding IVI inapplicable to FDIC receiver claims: Those cases were inapplicable, said the court; the IVI exclusions didn’t apply to claims by a receiver as this IVI. The McCaffree court reached the same conclusion. FDIC-cited email exchanges cited supported insurer rather than FDIC’s position, said this court. And also per this court, that the insurer’s reinsurance report mention the regulatory exclusion, but not the IVI doesn’t prove the IVI is inapplicable. FDIC presented no foundation or context for these statements and it is unclear what is being compared to the new EPL Policy. To the extent that the policy is being compared to the prior D&O policy that included the regulatory exclusion, the EPL Policy would be considered broader since it allowed claims by the FDIC in its corporate capacity. The McCaffree court didn’t consider any such extrinsic evidence. The McCaffree court rejected FDIC’s argument that based on interrogatory answers in Columbia Bank, insurer was judicially estopped from arguing the IVI exclusion applied to FDIC claims as receiver. While the regulatory exclusion was omitted from the [Executive protection] Policy, the insured versus insured exclusion is in the policy. The exclusion of claims by “receivers” is not a term being inserted into the policy by the Court. [T]his is not a scenario where the regulatory exclusion existed in the EPL Policy and County Bank purchased an endorsement to remove the exclusion. Instead, the regulatory exclusion was removed as a matter of course by [insurer] in order to remain competitive in the insurance market. [T]he rationale in American Alternative appears to be premised on the fact that the governmental seizure exclusion would have been mere surplussage if the underlying policy did not cover damage from governmental seizures in the first place. As discussed above, this is not the case with the regulatory exclusion, because even if the insured versus insured exclusion is interpreted to exclude claims by the FDIC in its capacity as a receiver, the regulatory exclusion would still have significance because it would further exclude claims by the FDIC in its corporate capacity. Limited application: Unlike typical IVI exclusions, the IVI in Hawker and McCaffree explicitly applied to a “receiver” and, for that reason alone, these case could have only limited application as Kevin LaCroix’s states in his D&O Diary post about the case here. There will be more to come on McCafree, now on appeal to the Tenth Circuit. Keep your eyes open for an appeal in Hawker. Can we make our professional liability insurer bear the consequences of our broken contract promises? You’re an insurance underwriter. And you issue an extended professional liability policy to a bank. It’s a package policy including executive liability, company reimbursement, professional, lender, and securities liability, EPL, fiduciary, trust department, and other insuring agreements. any actual or alleged error, misstatement, misleading statement, act or omission, or neglect or breach of duty by the company concerning an extension of credit, an actual or alleged failure or refusal by the company to extend credit; or an actual or alleged agreement by the company to extend credit. Your policy says your company “shall have no duty to defend.” But “reasonable defense expenses” are covered. Like all good underwriters, you don’t want to cover breach of contract claims. It wouldn’t make sense. The bank could contract with anyone, accept benefits, fail to perform, and simply have your company pay loss. What’s the incentive to perform? Isn’t this the “moral hazard” you learned about in underwriting school? Your company thus will avoid paying loss from contract breach, unless liability exists absent a contract. So you think. Policy issued. Premium paid. Claims-made policy term is about to expire. No claims. No reported circumstances. All is well. But just before the policy’s August 30, 2009 expiration, a business sues the bank. It claims the bank reneged on a promise to make loans to fund construction of an RV and boat storage facility. It claims breach of contract. It also claims breach of an implied covenant of good faith, estoppel, and detrimental reliance. Your company pays for the bank’s defense, reserving rights including to raise the contract liability exclusion. Six months later, the business and bank conditionally settle. Bank agrees to make loans to the business, with bank and business to mutually release each other if the loans are made. So, not too bad; this should be over. Right? Later the bank and business disagree about funding a loan for project steel. Then in July 2010, well after the policy term, business and its owner, as an additional party, amend the complaint to include claims for breach of the settlement agreement and an implied covenant of good faith. Your company continues paying for defense, while reserving rights. But then the court grants a summary judgment for the bank, leaving only the new counts for breach of the settlement agreement and related implied covenant. That’s a great development. It’s especially great, you think, because those counts were claims made after the policy term, right? So not within the coverage? Plus don’t they fall squarely within the contract liability exclusion? Aren’t they claims “based upon” or at least “in any way involving” “a failure to perform any contract or agreement”? Your company thus discontinues funding the defense. But the bank thinks differently and sues. Now it’s up to the black-robed one to decide. And . . . The Court Decision: In a case generally along those lines, Idaho Trust Bank v. Bancinsure, Inc. et al, Case No. 1:12-cv-00032-REB (D. Idaho Mar. 20, 2014), this particular black-robed one held the post-policy period claims about breaching the settlement agreement and implied covenant were deemed made when the original claims were made. So during the policy period. And the contract exclusion didn’t apply, said this court. The policy, available on the Federal court’s Pacer system, fills gaps in the court’s opinion about material policy wording. So we’ve included that wording in this post. Single policy period Claim/interrelated wrongful acts: The post-policy period claims–about the settlement agreement–and policy period claims–about the unfunded loans for a storage facility–“involve[ed] interrelated wrongful acts,” said the court. So, under the policy, they’re “considered a single claim” and “deemed to have been made when the earliest claim was first made”–namely, during the policy period. In arguing the issue, insurer cited deposition “admissions” by business’s corporate designee that the claims were unrelated. What sayeth the court? Although designee’s testimony “may lend some support for [insurer’s] position, it does not compel that result.” But not only did designee’s testimony not “compel the result,” it wasn’t even enough to create a fact issue requiring a trial. 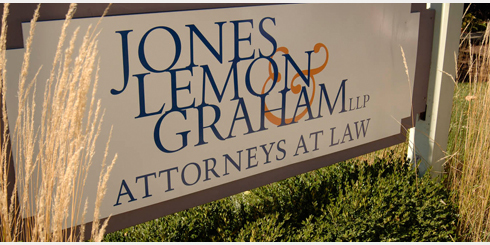 Based on deposition testimony and law, the court granted the business a summary judgment. While the court considered designee’s testimony “relevant,” the nature of the claims was shown by the pleadings regardless of designee’s characterization of them. Here, the  Claim and 2010 Claim involve the same parties, the same lending relationship between the parties, and the same underlying subject matter (the steel for Hutchens’ proposed RV Facility). The definition of “interrelated wrongful acts” describes a broad range of relationships that is decidedly satisfied here. The  Claim and 2010 Claim share as a common nexus, facts, circumstances and events. The 2010 Claim would not exist but for the attempts to settle the  Claim. On that fully-faceted record, the Court has little difficulty concluding that the 2010 Claim is “interrelated” to the  Claim, as defined in [insurer’s] Policy. There are many cases supporting this decision, including those the court cited: WFS Financial, Inc. v. Progressive Casualty Ins. Co., Inc., 232 Fed. Appx. 624, 625 (9th Cir. 2007) (two class actions having as common basis defendant’s alleged wrongful business practice “interrelated” as alleged harms “causally related and do not present such an `attenuated or unusual’ relationship that a reasonable insured would not have expected the claim to be treated as a single claim under the policy”); Highwoods Props. v. Exec. Risk Indem., Inc., 407 F.3d 917, 924-25 (8th Cir. 2005) (though alleging different legal theories, suits related as they alleged insured provided shareholders misleading information for merger approval); Capital Growth Financial LLC v. Quanta Specialty Lines Inc. Co., 2008 WL 2949492, *4-5 (S.D. Fla. July 30, 2008) (although involving different investors, additional or different investments, and unique allegations about specific misrepresentations, claims related as they all alleged pattern of unsuitable and risky investments by insureds). Contract exclusion: The court also said the contract liability exclusion didn’t apply. The broadly worded lender liability insuring agreement doomed this insurer, in this court’s view. The contract liability exclusion couldn’t be reconciled with the broad coverage grant–said the court. [S]uch an exclusion [(namely, the contract liability exclusion)] would not be enforceable as it would eliminate coverage for something otherwise clearly covered under the Policy. An insurer cannot seek to apply policy limitations and exclusions in a way to defeat the precise purpose for which the insurance is purchased. [Citation omitted] While the Court does not find the contractual liability exclusion to render the Policy completely illusory, the Court will not enforce it against [bank] on the particular facts in this case. Again, the Court emphasizes that an insurer cannot in one section provide coverage for acts that include “an actual or alleged agreement” and then, in another section, attempt to exclude coverage for claims “based upon [or] arising out of” “the failure to perform any contract or agreement[. ]” These two sections cannot be reconciled and therefore the Court construes the exclusion against [insurer] and finds that there is coverage for the 2010 Claim under the Policy. In this court’s view, the insurer by the contract liability exclusion took away the coverage it promised in the insuring agreement. So the breach of contract claim was covered. And it didn’t matter that, under Idaho law, the good faith and fair dealing claim sounded “in contract” rather than tort. Comments: Whether claims involve interrelated wrongful acts is frequently litigated. And this blog has discussed other decisions on that issue including here and here. With “interrelated wrongful acts” broadly defined, the court’s conclusion is no surprise. Somewhat surprising is the insurer argued against relatedness. Insurers in reported decisions are frequently arguing the opposite and winning in circumstances like these. Contract liability exclusions also are frequently litigated as reported in this blog here and here. This case is unique because of the broad lender liability insuring agreement, incorporating the broad lending wrongful act definition. But were the coverage grant and exclusion really irreconcilable? Why wasn’t it reasonable to say that coverage for a loss from claims based on acts, omissions or the like concerning a loan, refusal to make a loan, or agreement to make a loan, is limited to claims where the bank or another insured “would have been liable even in the absence of such contract or agreement”? So, for example, lender liability claims in tort, rather than contract? Doesn’t this reconcile the lender liability insuring agreement and contract exclusion? It seems that this exclusion narrowed the lender liability exclusion just as an exclusion is supposed to, that there was material coverage left notwithstanding the exclusion, and that the coverage grant and exclusion were reconcilable. Maybe an appeal? So what’s an underwriter to do? Don’t count on courts. Don’t put your company in a position where it has to litigate this issue. Time to revisit the insuring agreements. Look at cases this court cites where the exclusion was enforced and, in this court’s view, there was no issue with reconciling the coverage grant and the contract exclusion. How about that for a start?